This trip starts by crossing the fjord in a motorboat to our pier on Carretera Austral. 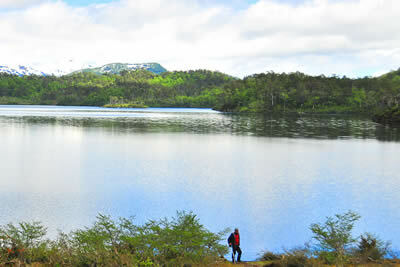 Then you shall continue during 15 minutes in a vehicle to the Ventisquero Colgante area of Queulat National Park. 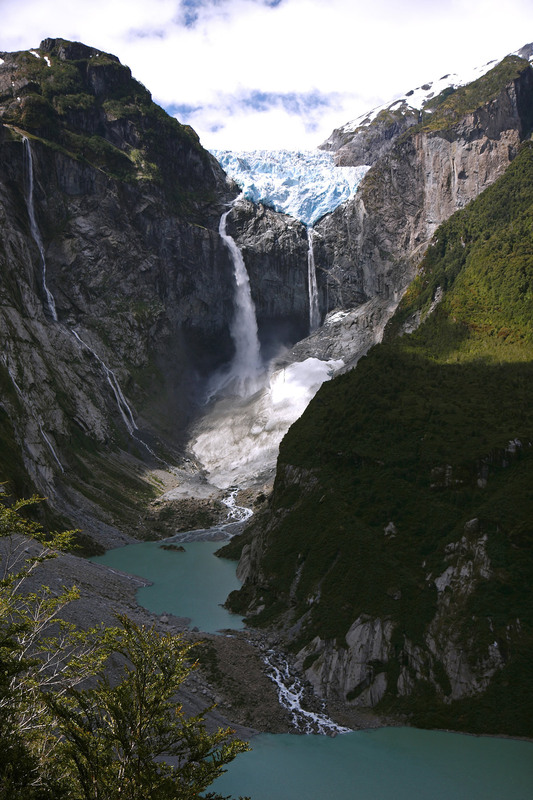 The Ventisquero River runs throughout the glacial moraine valley molded by the Hanging Glacier. 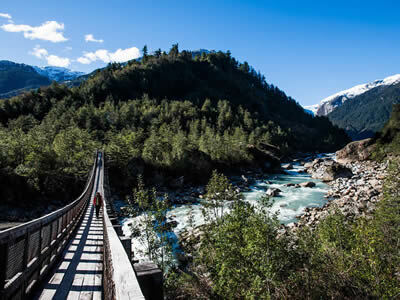 At short distance from the area’s authorized parking area, and after having passed the hanging bridge that crosses the river, the path that penetrates the beginning of the woods opens out and then goes round the valley created by the moraine. 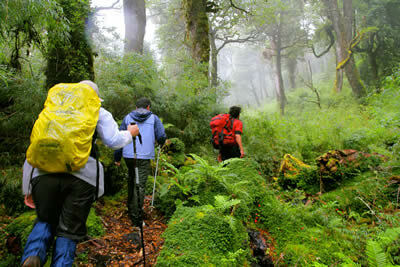 A walk for all kind of people. After crossing the fjord by motorboat towards Carretera Austral (Southern Highway), the journey will continue South for 15 minutes in vehicle to the Ventisquero Colgante (Hanging Glacier) area. 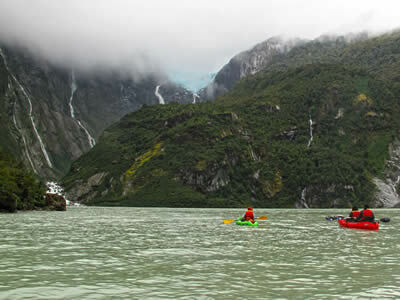 After walking approximately 600 meters along the path that accesses the edge of the Tempanos Lagoon, magnificent views will appear from the Hanging Glacier together with its impressive ice slides. 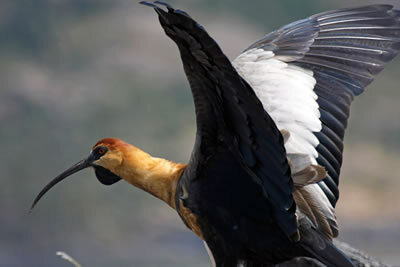 A guide will provide you with information about the flora, fauna, and geology of the area. 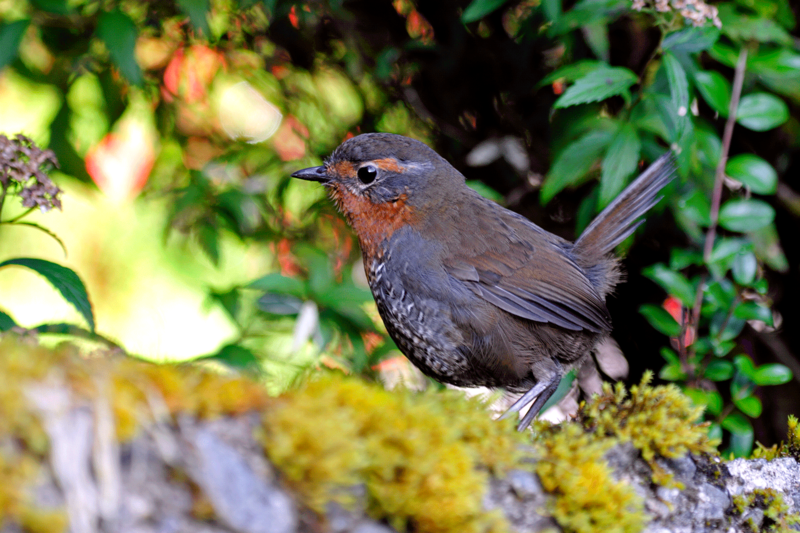 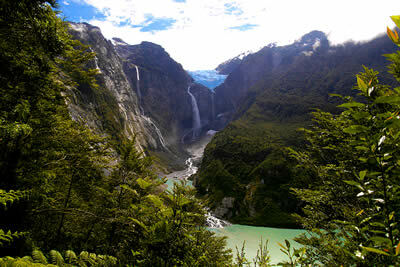 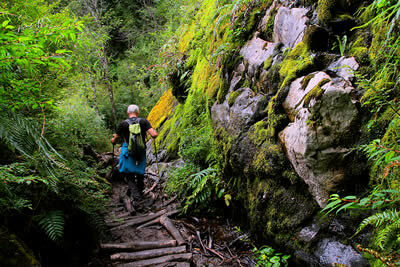 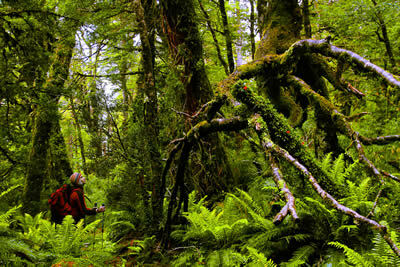 With extraordinary botanical variation, this path is located on one of the highest points in Carretera Austral. 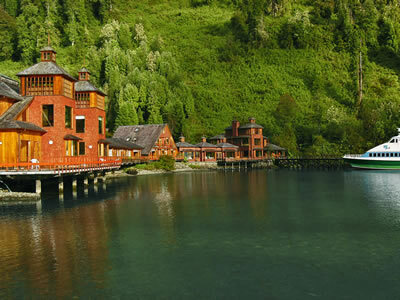 One hour drive is needed from the jetty of the Lodge. 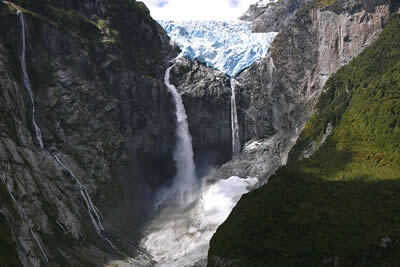 The extensive and steep snowcaps of Queulat, together with the damp vegetation that cover the lower valleys, represent the spirit of this journey. 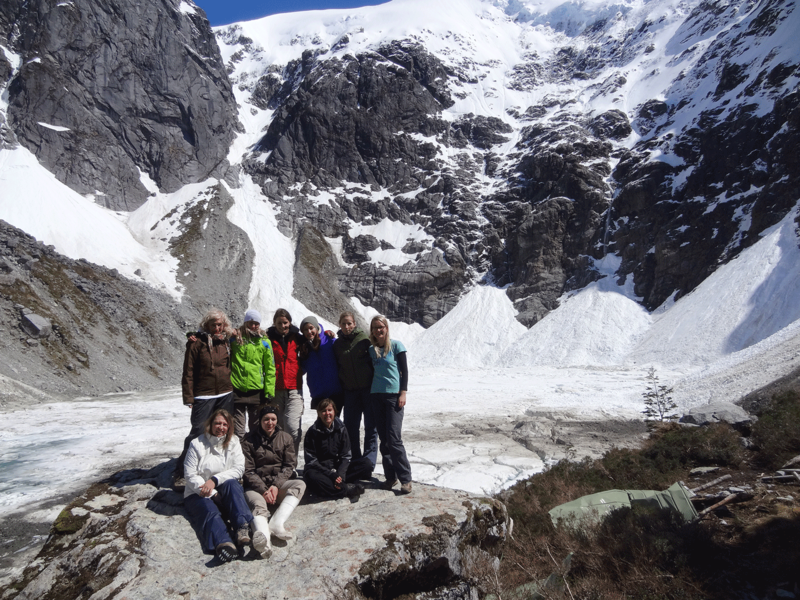 The summits and snowdrifts areamazing on the slopes located to the south of Queulat National Park. 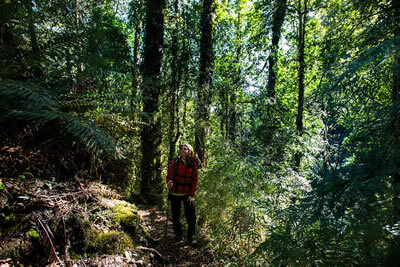 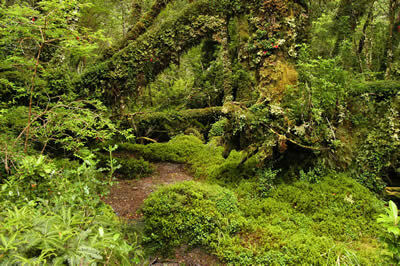 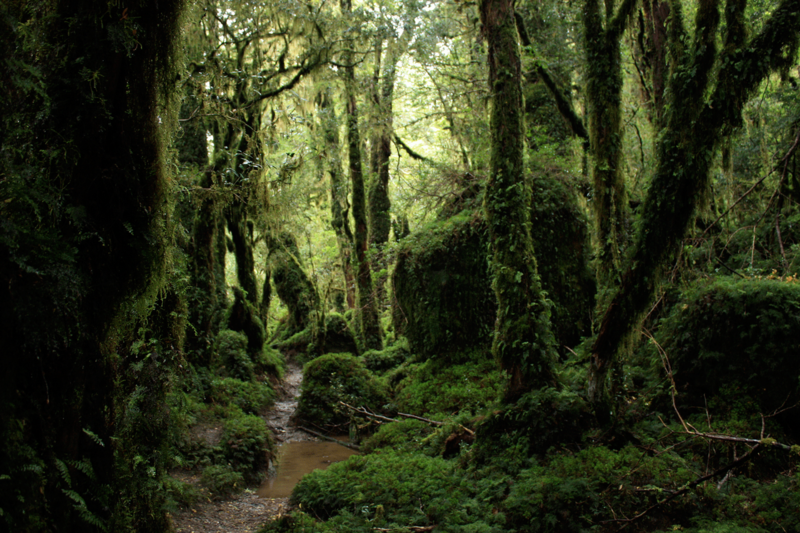 The walk starts by penetrating through the lush fores in which you find bizarre lichens, fungi, mosses, algae, ferns, and numerous flowers that accompany this route. 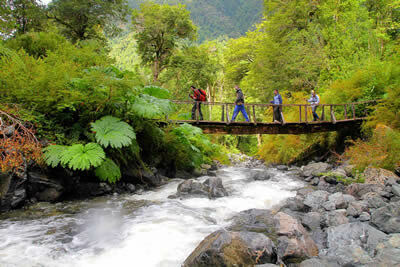 The path advances for almost 2 km before reaching the Cascadas River. 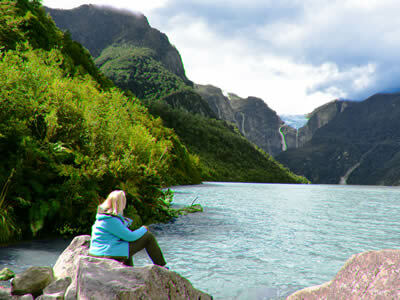 The road continues across the valley, which offers spectacular panoramas of the area. 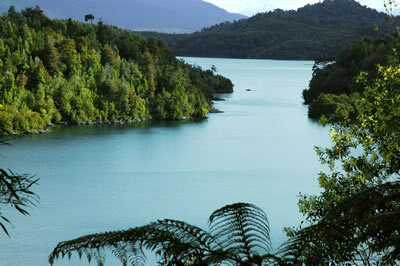 Then Los Gnomos Lagoon appears, from which the river is born. 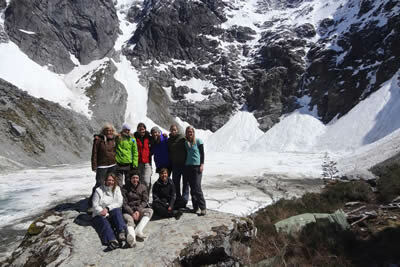 The shores are approached by an impressive and steep granite structure upon which the snowdrift sits. 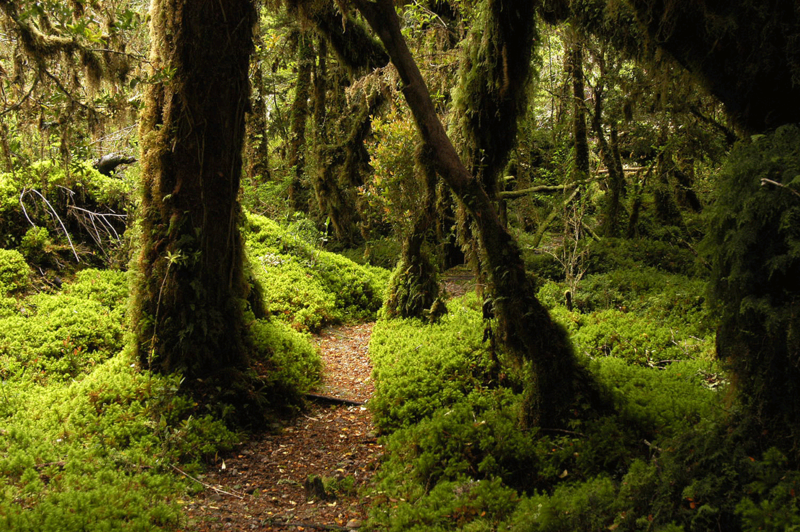 The footprints of time can be recognized on the rocks, following the movement of the mass. Oftenly some chunks of the millenary ice fall into the lagoon. 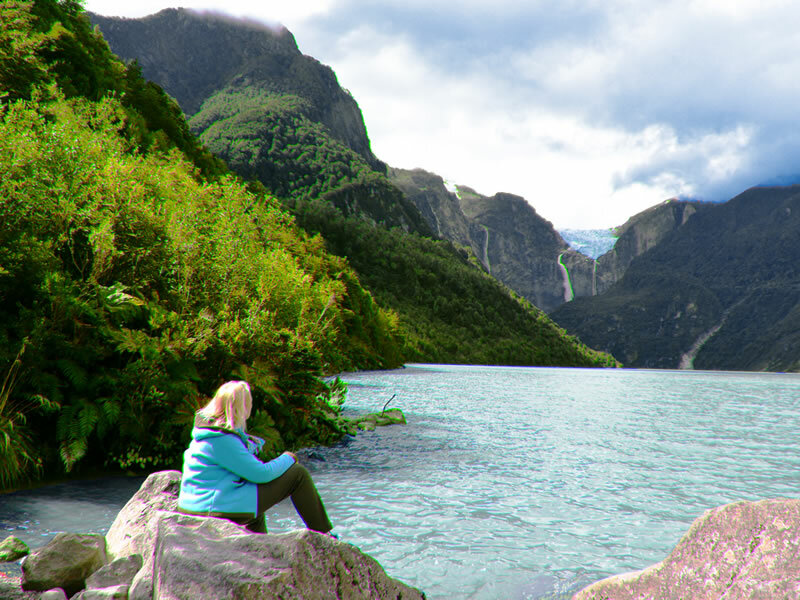 In the northern area of Queulat National Park is this 5.6 km path that climbs steeply through the natural woodland, and in it`s last stretch reaches Los Pumas Lagoon. The path develops through a staggered route that combines beautiful views of Lake Risopatrón and the deep green forest, giving way to the so-called Bosque de Transición y de Altura (Woods of Transition and Height). 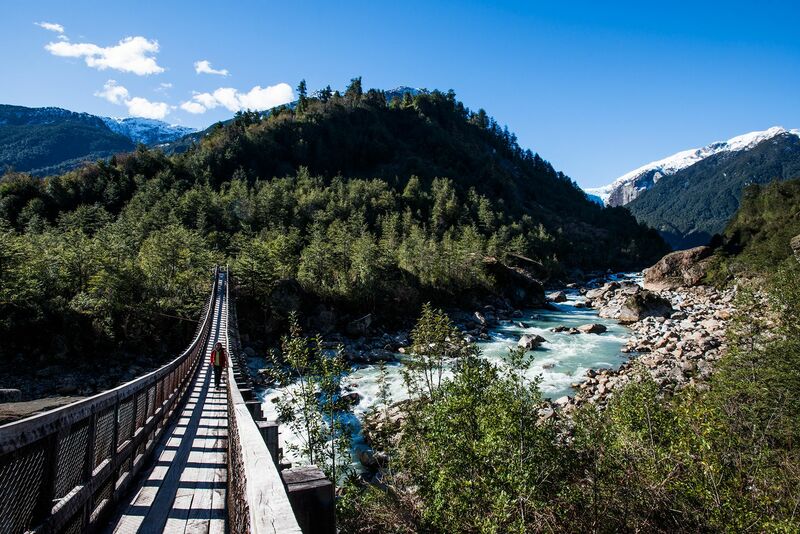 The journey crosses a wide plateau in it`s highest part – 1,060m –which has spectacular views of the mountain chain that wraps around the narrow Ventisquero Sound. With a pit of approximately 70 hectares and an area of almost 2km, the lagon has clean and well-oxygenated waters, a source of life with a wide diversity of aquatic species. 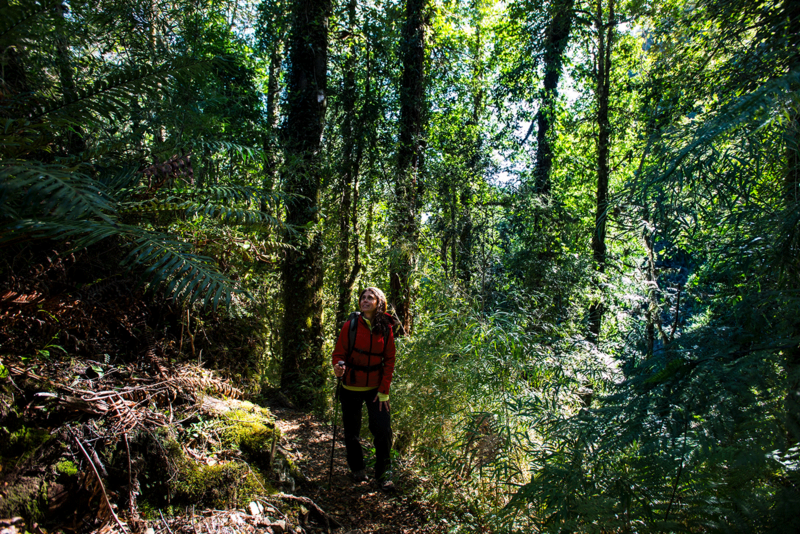 A walk that starts directly from the Lodge that crosses the Canelo Woods, passing by viewpoints that allows to observe spectacular views of Dorita Bay and the Puyuhuapi Channel, as well as finding a variety of the area’s ferns and native trees. Los Canelos Path is part of the old path that led to the nearby Puyuhuapi settlement, an important piece of our local history. 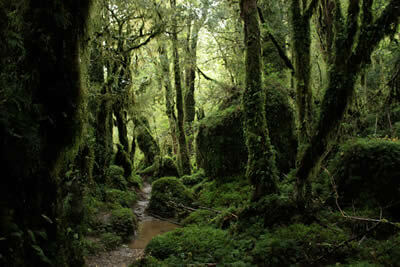 We have taken care to keep part of the route open, being careful not to modify our symbiosis with the area. 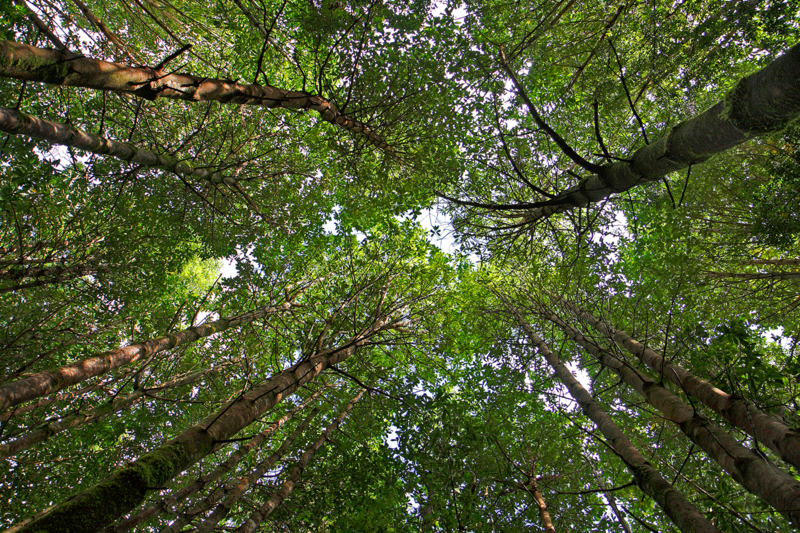 The route advances through the shelter of the friendly canelo woods where, according to a legend, silver-colored leaves protects “spirits of the past”. The return journey can be done in a kayak in approximately 30 minutes, through the calm Dorita Bay. 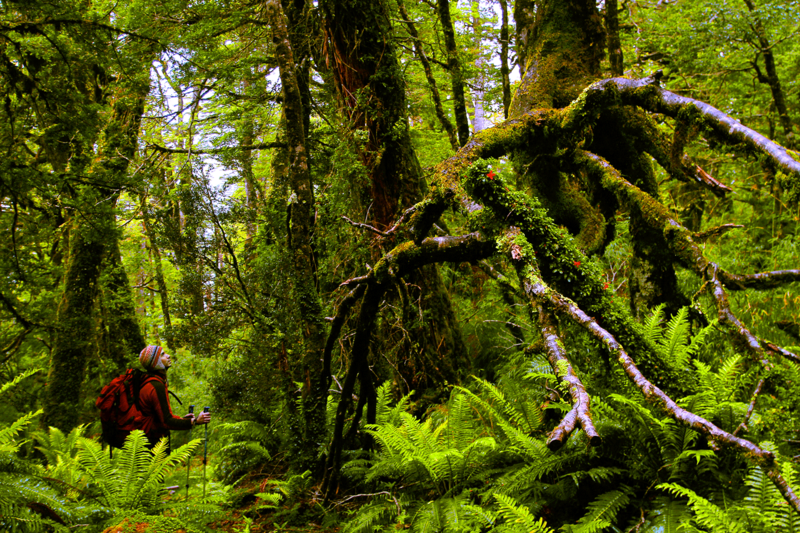 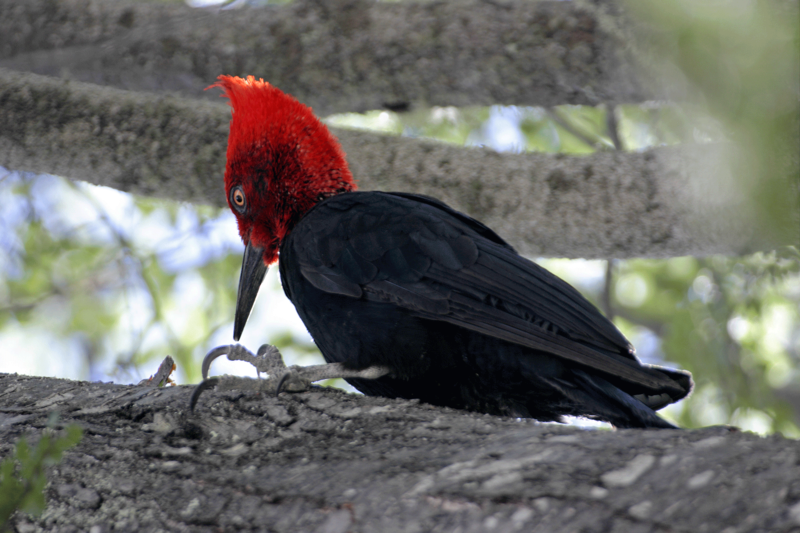 A trip of medium difficulty by a path that advances through the Patagonian woods, between coigües, tepas, and mañíos, perfect for bird watching due to the wide variety of birds that inhabit this area: chucao, kingfishers, black woodpeckers, huet-huets, rayaditos, hummingbirds, and many others. 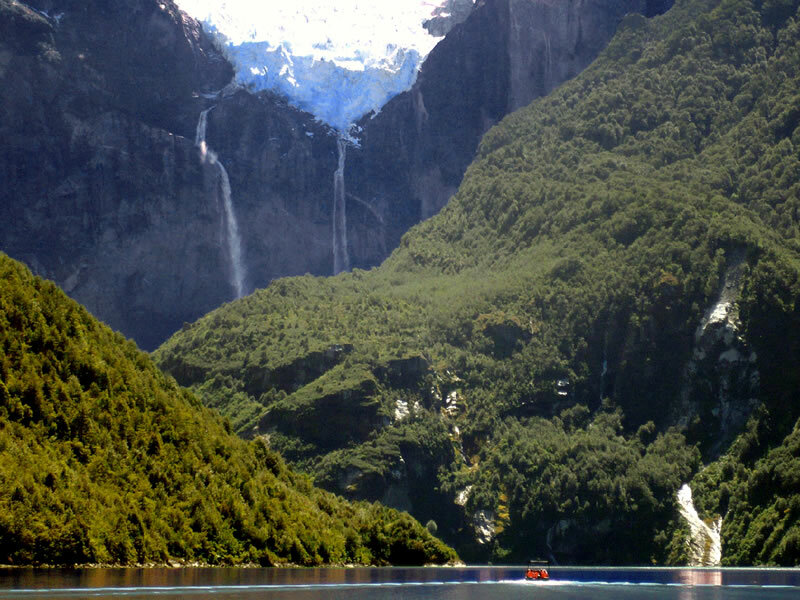 Cai-Cai and Tentenvilú – mythical snakelike creatures – fought their way relentlessly through these mountain ranges and Patagonian fjords. 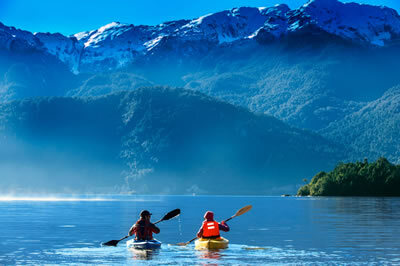 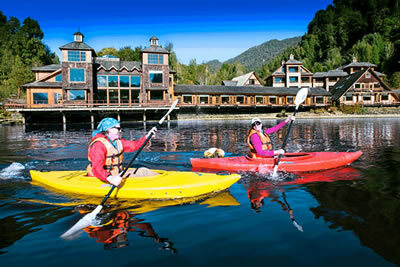 The same ones that we now invite you to explore in a sea kayak from Puyuhuapi Lodge & Spa. 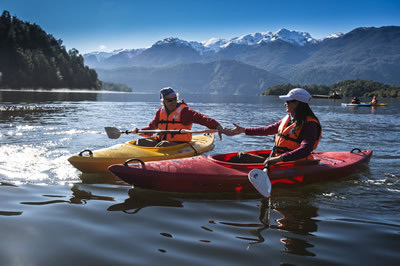 We sail for 1–2 hours through the calm waters of the Puyuhuapi fjord, traveling past islands, islets, and fjords, and observing a wide variety of marine birds such as herons, black-necked swans, wandering albatross, coots, steamer ducks, penguins, amongst others. 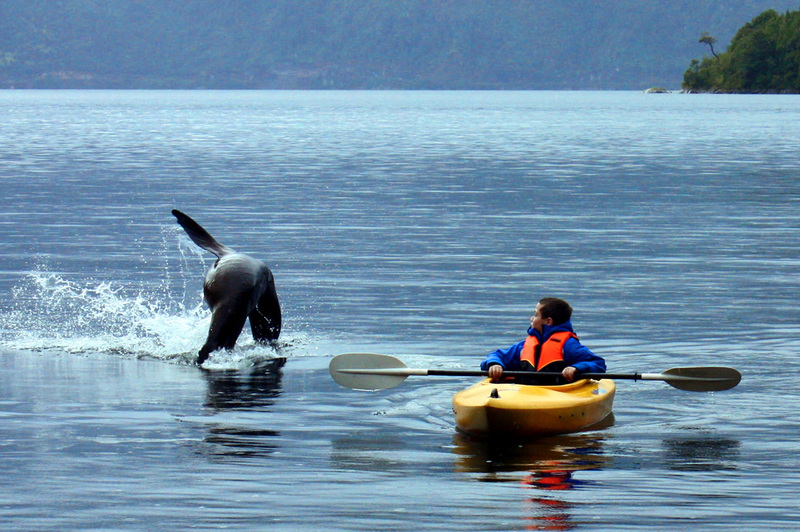 The scenery offered by the Puyuhuapi Channel and the Jacaff Channel is sublime, and a visit to their islands and bays in dinghies is just exceptional, with the possibility of spotting bird colonies and, with a bit of luck, marine mammals like seals and bottlenose dolphins. 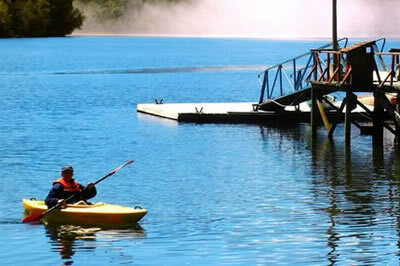 Tour includes a boatman.